Four Panel Storyteller Screen. 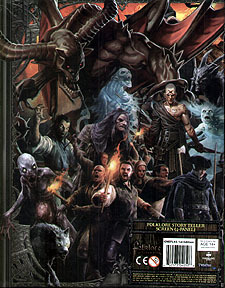 Outside depicts characters, and foes from the game. Inside includes percentile roll tables from the Adventure Creation Kit.